Hi! I’m Erica! 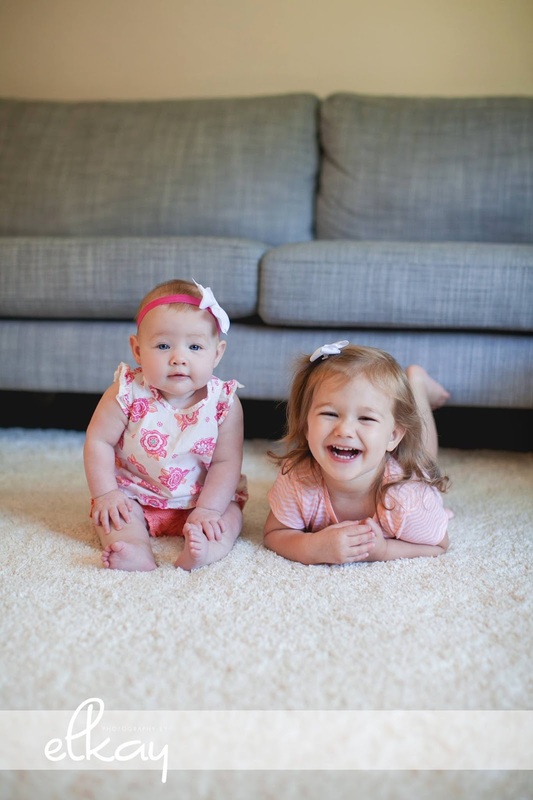 I have two beautiful girls – Addison, 2 and Savannah, 6 months. They are 20 months apart and are at such a fun age. They are really interacting with one another and it melts my heart. 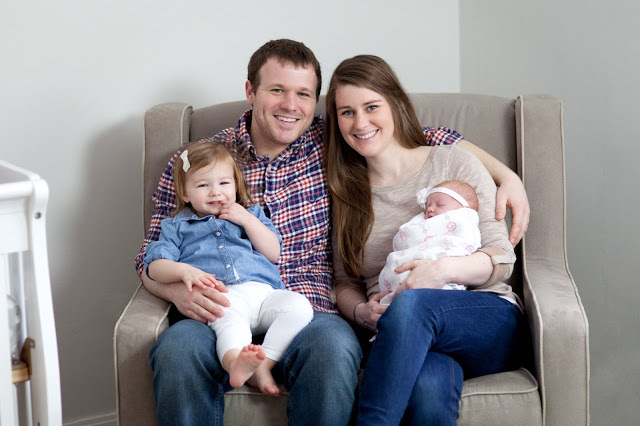 I have a wonderful husband, Eric, who is a mechanical engineer and I am a stay at home mom. As my creative outlet I have an etsy shop, EOgdenAve, and blog at E Ogden Ave. 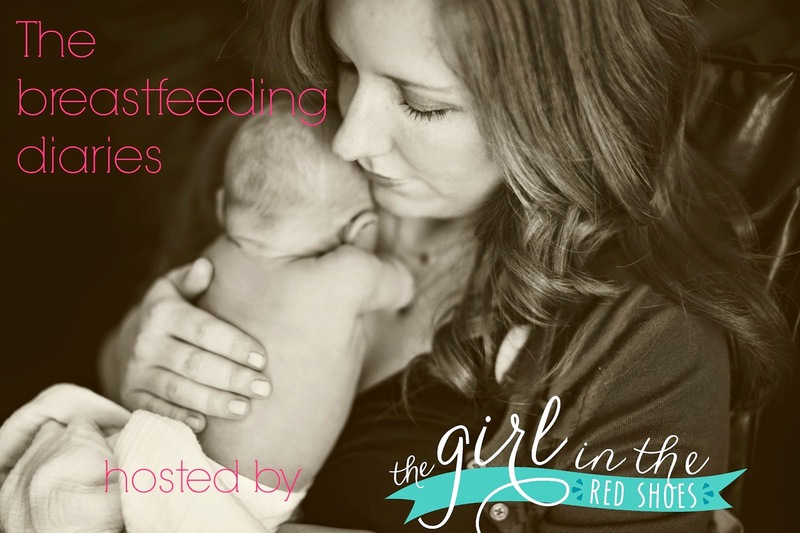 When I found out I was pregnant with Addison, I wasn’t sold on the idea of breastfeeding, but was open to learning about it and giving it a try. I took a class and read up as much as I could and just decided to go with it. 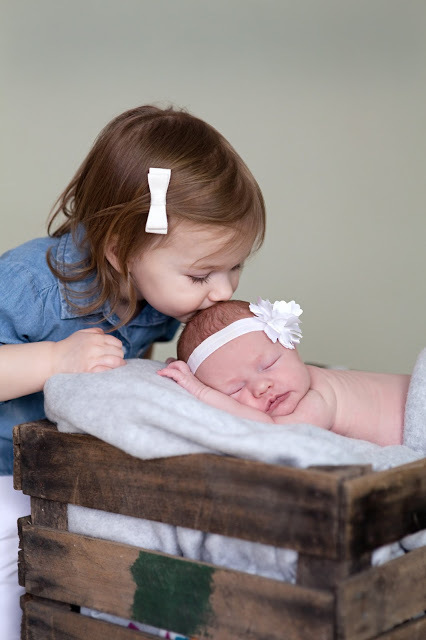 After Addison was born, she latched great, breastfed well, gained weight, and made it pretty simple to know I could do this breastfeeding thing. I had the usual pain and it was uncomfortable the first two weeks, but it wasn’t torture. I pumped a bottle here and there which she took down so well. I was so blessed with a great baby, great eater, and great sleeper. But something wasn’t right. I craved routine, predictability, and a break from breastfeeding or pumping! So when she turned 2 months we introduced formula for one bottle a day and I dropped that feeding. It felt amazing! I loved it! I was able to run errands in the morning and know that when she was hungry I made the bottle. No need to pump or deal with a cover. It was such a stress relief for me. It was then when I realized how much I didn’t like breastfeeding. Sure, I loved it for the middle of the night feedings in those early months. And I loved breastfeeding first thing in the morning when we were both waking up. But other than that, I didn’t like it at all. And that’s when the guilt started to set in. I read blogs, stories, forums, etc. Everyone saying don’t give up, don’t quit, breast is best, you are selfish to quit, it’s free, etc. etc. etc. But I just couldn’t do it anymore, it stressed me out and made me feel very anxious (not the mommy I wanted to be!). My husband was supportive and we talked through it all. He loved feeding Addi bottles and was happy to be able help more. We talked with our doctor (who is a fantastic pediatrician) to see if he agreed it was ok to stop. Of course he said she would be fine and reminded us she did have breastmilk, and any is better than none, especially in those first weeks. It was so reassuring to hear that. I slowly dropped feedings that turned into bottles of formula, and at 4 months we were done breastfeeding. I felt nervous to tell people and felt so guilty at the relief I had from stopping. Once I was done breastfeeding and my mommy brain thought a little bit clearer I realized some things: Addison isn’t going to have to write on her college application if she was breastfed or not. I wasn’t breastfed and I got into college and graduated with a Bachelors degree. Addison and I have a great relationship and she loves to be my shadow. Even if I would have breastfed her longer I bet I still get eye rolls at me when she is a teenager! Haha. 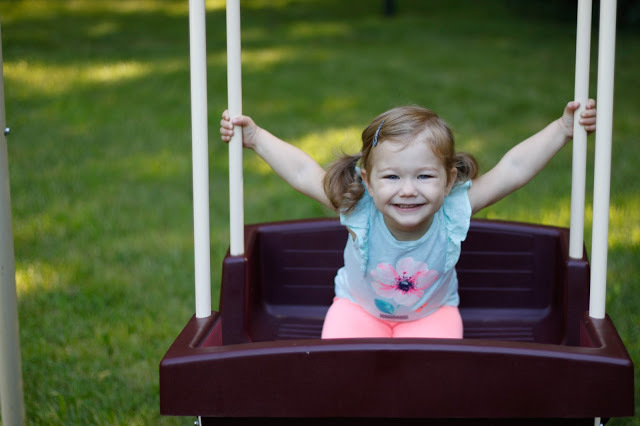 It made my husband and my relationship much stronger because everything about Addison could all be done with team work, which is how we work best. Breastfeeding or not is only one of the first decisions I will make for my child, so I can’t dwell on it and feel guilty. I need to do what is best. Just like I will do when they are in sports, activities, dating, driving, etc. Once I thought through that, I felt a lot better. My child was growing, happy, and such a blessing! That’s what mattered the most. 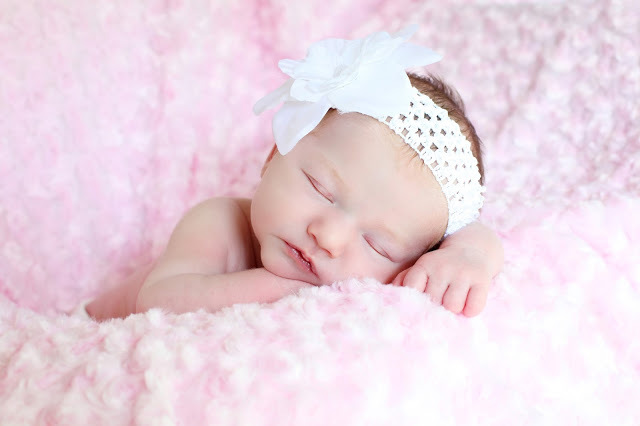 Fast forward to baby number 2, Savannah, and her story is almost the same as her sister. However, I was ready for bottles and formula a little bit earlier. Transitioning to two kiddos (especially 20 months apart) was a bit crazier than I thought. So I was very ready to share the routine with my husband. Savannah pretty much went the same breastfeeding/supplement/dropped feedings as her sister and I was done breastfeeding with her at about 3 months. I still felt the guilt (especially because there were 3 other friends with babies exactly the same age). But I remembered all my thoughts with my oldest and how she was still continuing to grow and develop so well. Looking into the future, we know we want more kids. And I know I will breastfeed as much as I can in the beginning but by 3-4 months will be done. It works best for us as a family! I wish more people would have had stories out there about not liking breastfeeding, or choosing to stop before a year when I was struggling to stop. I hope this story gives someone else a bit of relief. You aren’t alone! Writing my story out feels so good – I hope someone else can relate to this journey. I really struggled not having someone else going through these thoughts. So feel free to email me! eogdenave@gmail.com. Thank you to Julie for letting me share my breastfeeding/formula feeding story! Thank you for posting this perspective. I feel the same way and feel like more women do too but are afraid to share. This is one of the best BFDs in a long time. Hi Megs! Thank you for your sweet words. I am glad to hear you could relate to my story! Thank you for sharing! I had the exact same feelings with both of my kids (24 months apart). I just didn't enjoy breastfeeding like it seemed everyone else did. I craved routine and schedules. Once we went exclusively to bottles, I finally started to feel like myself. I know this will help some mommas out there feel like they are not alone. Hi Haley! I am so glad to hear I'm not alone! Thank you for sharing that with me.